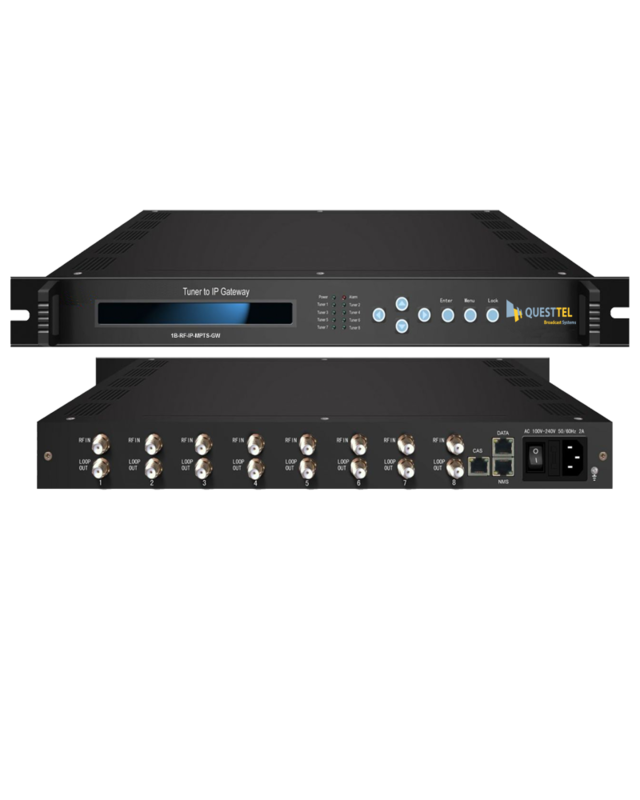 1B-RF-IP-MPTS-GW is integrated with tuner demodulation and gateway function, which can demodulate the signal from 8 DVB tuners into TS and convert the TS into IP package, then output the IP package through different IP address and ports. 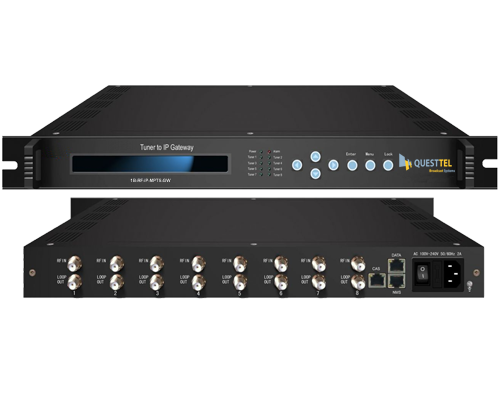 1B-RF-IP-SPTS-GW is integrated with tuner demodulation and gateway function, which can demodulate the signal from 8 DVB tuners into TS and convert the TS into IP package, then output the IP package through different IP address and ports. 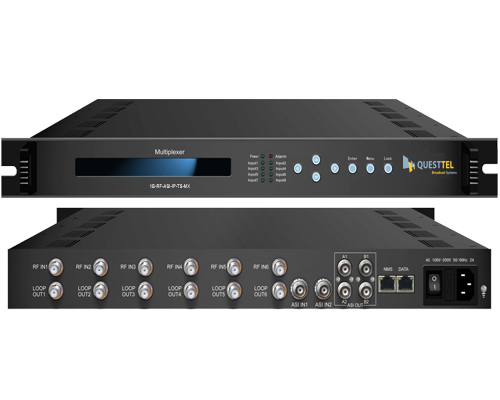 CATV to IP Multiplexer has all the functions, including programs multiplexing, PID re-mapping, service filtering, EPG (Electronic Program Guide), CA (Conditional Access) and data casting information into each output stream. 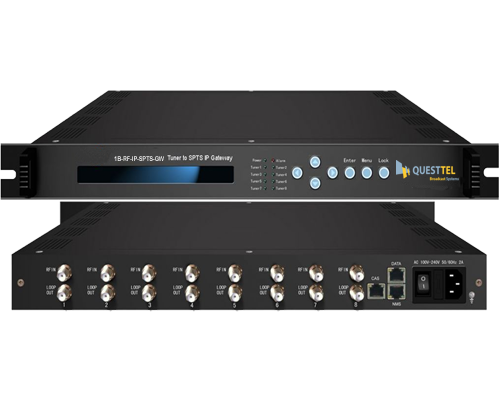 Questtel 1B-RF-IP-MPTS-GW DVB Tuner to IP gigabits IP Gateway is a head-end interface conversion device which is used for DVB and Ethernet. It is integrated with tuner demodulation (or ASI optional) and gateway function, which can demodulate the signal from 8 tuners into TS and packet the TS into IP package, or directly convert the TS from ASI input into IP package(optional), then output the IP package through different IP address and ports. It supports TS over UDP protocol. BISS function is now embedded for tuner input to descramble your tuner input programs.